What audiences are you trying to reach? What media will be most likely to reach them? What messages and designs will be most effective? University Marketing and Communications recommends starting with research, then using your findings as the foundation of a marketing communications plan. University Marketing and Communications is spearheading development of a strategic marketing plan that will set institutional-level marketing priorities. The plan will ensure that limited resources are deployed in the most effective way to achieve marketing goals. Stakeholders throughout the University community will be invited to collaborate. Our consultants work with academic and administrative units to develop strategies for achieving unit-level marketing goals. The world’s strongest brands are represented consistently for good reason: to make them easy to remember. Memorable brands feel more familiar—and familiarity builds trust. That’s why every representation of the WSU brand should use consistent visuals and consistent messaging, no matter what department or initiative a promotion represents. 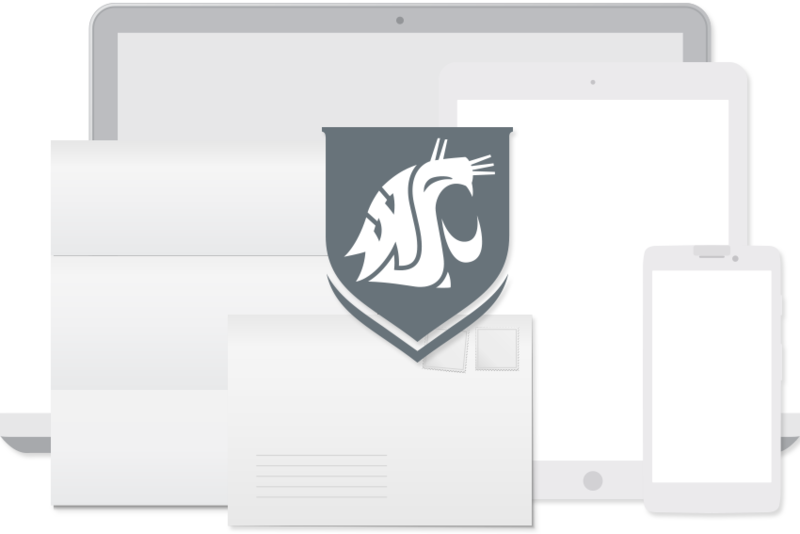 To make your marketing tools as powerful as they can be, follow the WSU brand standards. Officials review requests to apply the University’s identity to products.